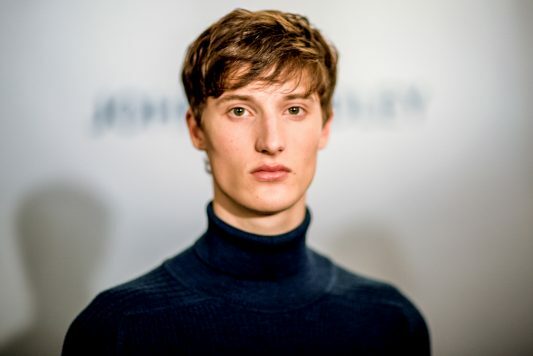 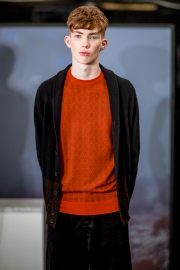 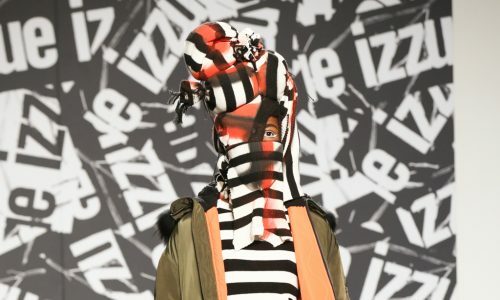 John Smedley presented their autumn/winter collection 2017 on the final day of London Fashion Week Men’s. 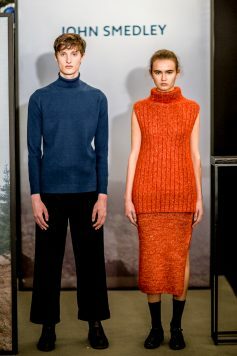 Taglined “The world’s finest knitwear” the brand’s signature quality and elegance were on full display. 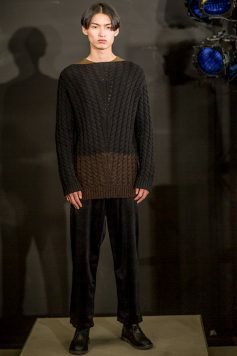 The collection takes its inspiration from wool fibre and presents a purist study of the raw material. 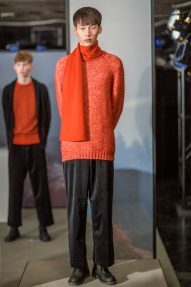 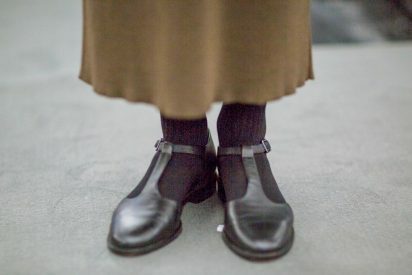 The Composition of Knit utilises a range of invocations of the fabric: merino wool, natural alpaca, wild boucle and the ultimate, British black sheep’s wool. 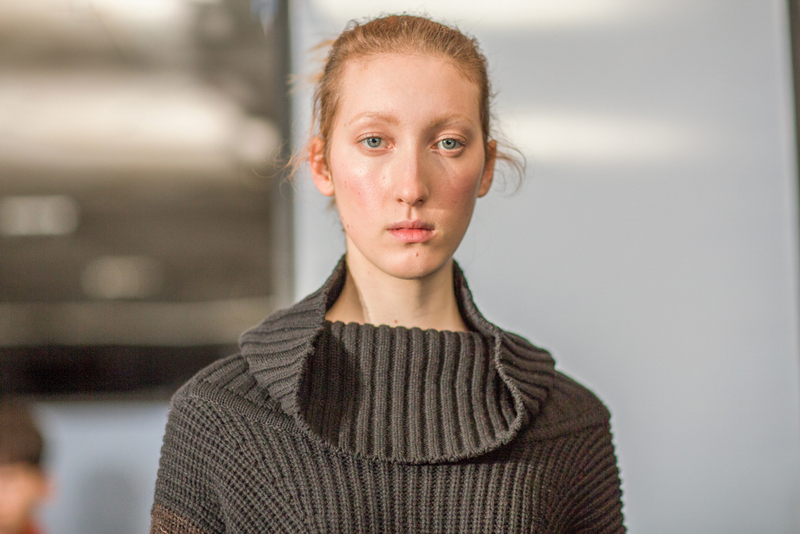 Far from confining, a singular dedication to knitwear provokes an-depth investigation into its varying aesthetics and effects. 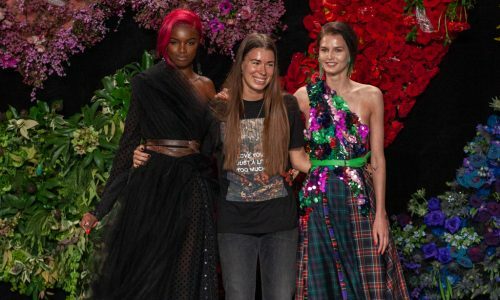 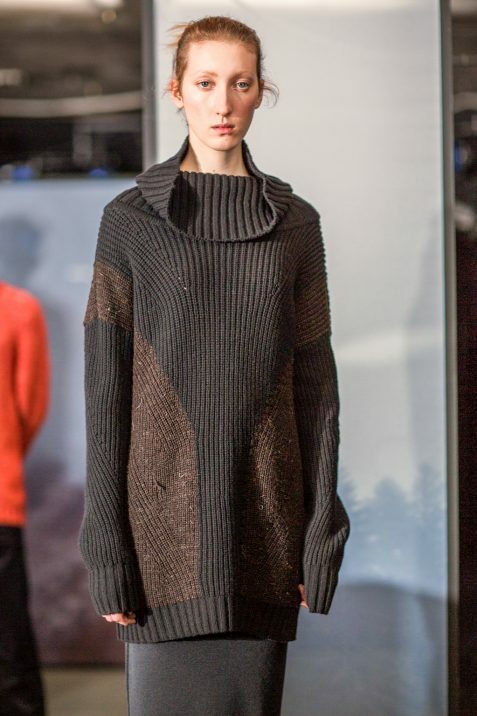 The choice of knit becomes a storyteller through the pieces: abstract patterns and textures represent landscapes, contrasting with fuller, chunkier textures and ribs, and fluid silk silhouettes. 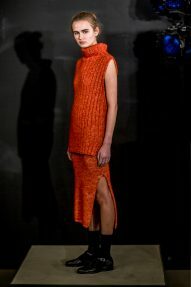 The colour palette consists of shades within the autumnal spectrum, showcasing orange and green set off against black. 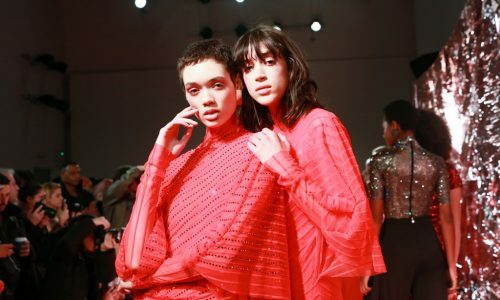 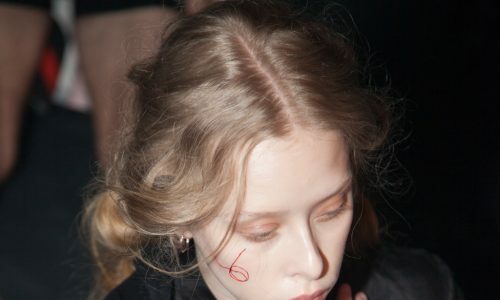 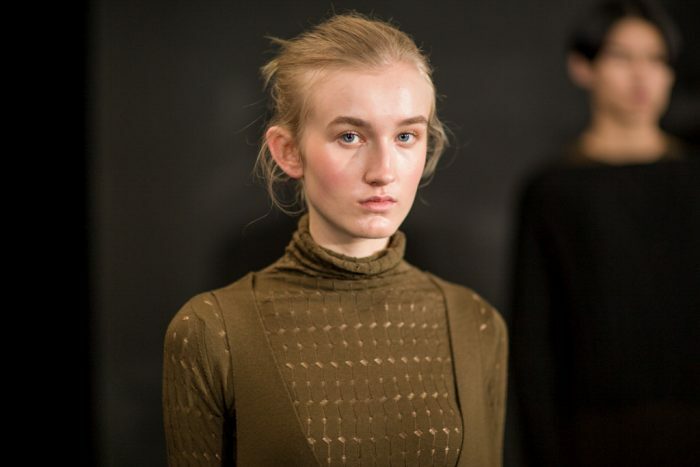 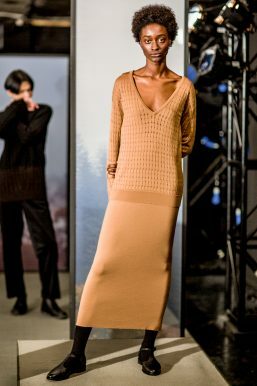 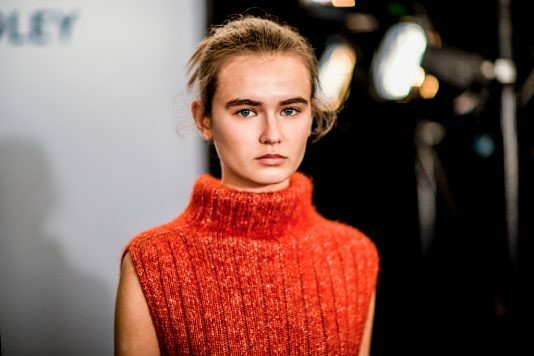 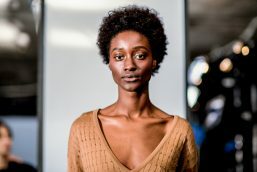 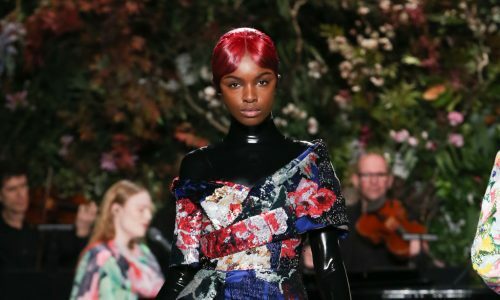 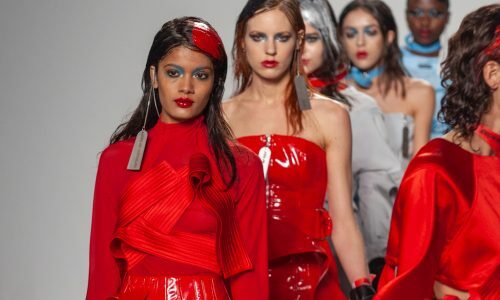 The womenswear selection is stunningly fluid in barely there mid-length dresses with plunging v-necklines, contrasting with ribbed, sleeveless funnel necks and oversized jumpers. 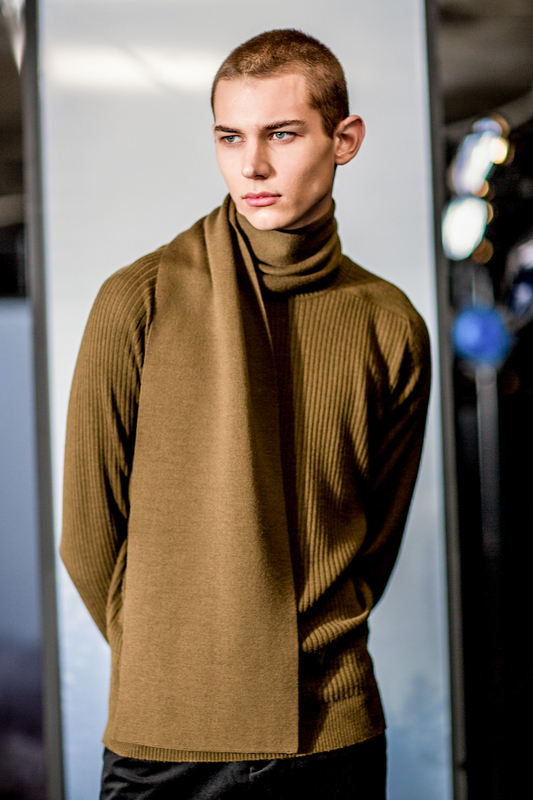 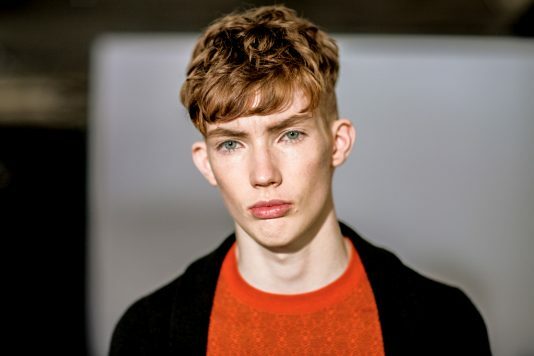 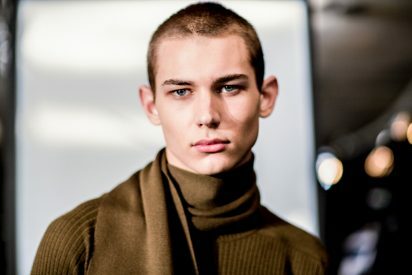 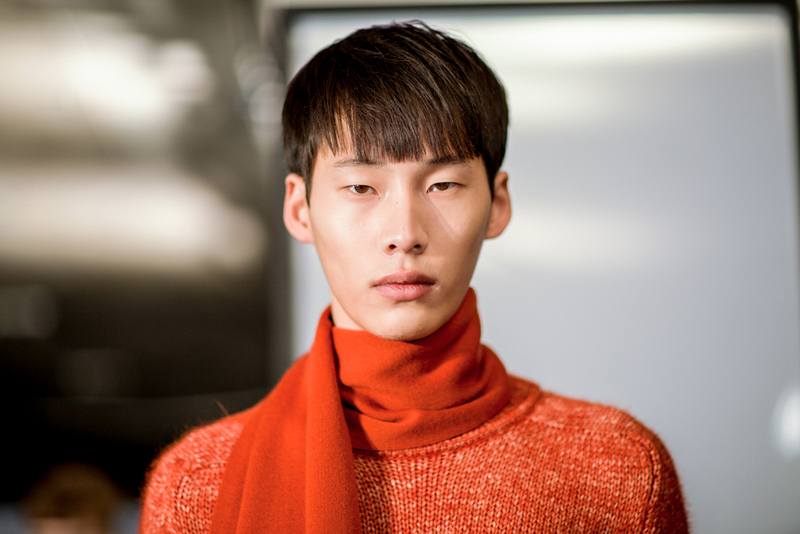 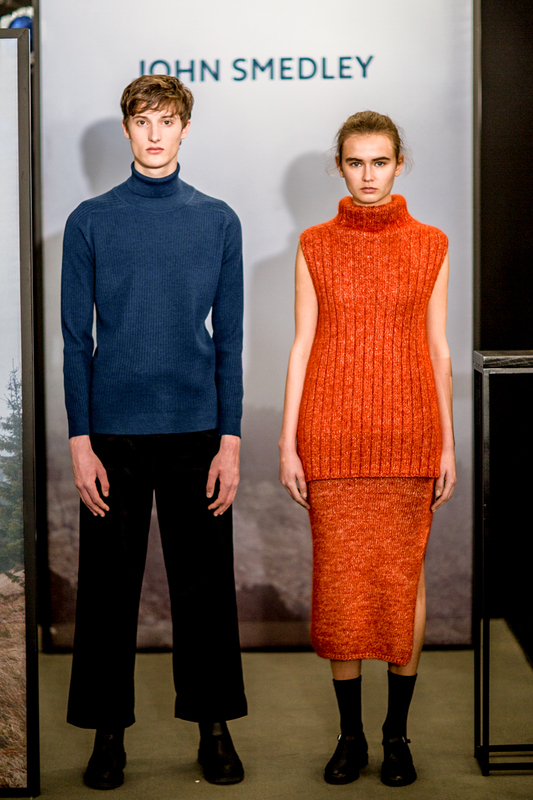 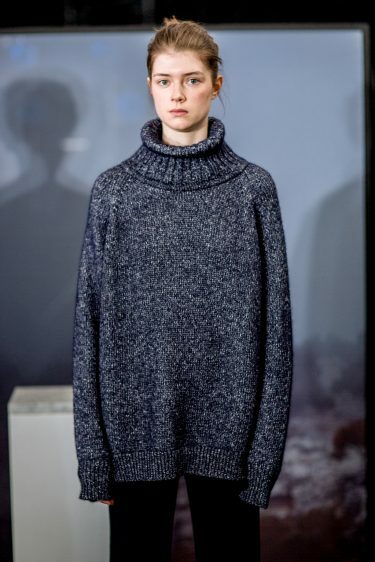 The menswear is heavy with chunky knits, block colouring and colliding textures as well as more delicate polo necks. 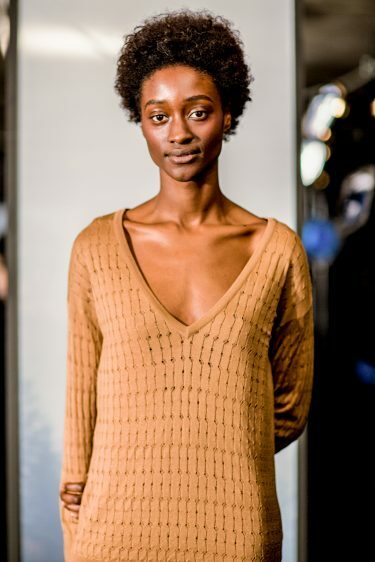 Exploring the ability of the fabric to reveal and conceal, to be light and heavy, the collection captures the rustic spirit of the fibre as well as its more sensual side.